Smart TVs dominate TV sales around the world, but streaming media players are used more by consumers. However, new smart TV operating systems could change that and help smart TVs to become the primary way people stream video to televisions. IHS Markit says that 70% of global TV sales will be smart by the end of 2018. In 2015, smart TVs were 45% of the market, and in 2017 they were 64%. Android is the dominant smart TV operating system with a 40% share. Samsung Tizen has a 23% share, LG WebOS 13%, and Roku 6%. Though smart TVs are easier to use than SMPs, people don’t use them as much. comScore says that 47% of Wi-Fi households have an SMP in the US and 77% of people in those homes use the devices to stream video. Smart TVs are in 37% of Wi-Fi homes, and 70% of Wi-Fi householders use them. Parks research shows that 41% of SMP owners use their device daily and 34% smart TV owners use theirs daily. 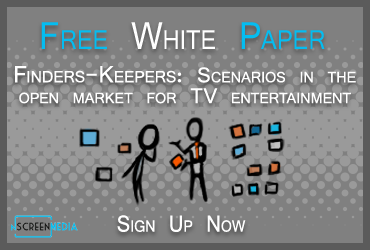 People watch for longer on SMPs than smart TVs. Those people that prefer to use an SMP to stream video do so for 10.4 hours per week. Those that prefer to stream through their smart TV do so for 9.8 hours. In the U.S., Samsung, Vizio, and LG dominate the market. They have little incentive to maintain the smart interfaces of older TVs because they don’t make any money from the feature. They would rather consumers bought a new TV. Video service providers also are reluctant to support older TVs. They must create apps for many different devices and will favor newer versions of smart TV operating systems over older. These two factors explain why apps on older smart TVs do not have newer features that encourage longer viewing. Things could be about to change. Google Android TV, Amazon Fire TV, and Roku are all being adopted by smaller smart TV manufacturers as the operating system for their TVs. These companies have lots of incentives to maintain older devices. The more people that are using devices powered by their OS, the more money they make. If Google, Amazon, and Roku are successful and expand their share of the smart TV OS market, the usage difference between smart TVs and SMPs could disappear. Over time the smart TV could come to dominate the connected TV space.